TEHRAN, Iran — Iran’s top leader warned the Arab world Wednesday not to allow Western powers and Israel to “confiscate” the region’s pro-reform uprisings, in comments that appear to reflect the Islamic republic’s unease about their standing in a profoundly altered Middle East. Iran has tried to walk two paths since the pro-democracy rebellions began in February – lauding the popular revolts as modern-day heirs to Iran’s 1979 Islamic revolution, while maintaining relentless pressure on opposition groups at home. But Iran is at risk of serious political setbacks. 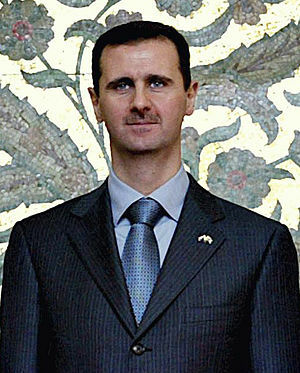 Iran’s main Mideast ally, Syria’s Bashar Assad, is under growing international pressure for his fierce crackdown on anti-government protests. Iran’s Supreme Leader Ayatollah Ali Khamenei, in a speech broadcast on Iran’s state TV to mark the end of the Muslim holy month of Ramadan, reflected the added worries that the West and its allies could gain ground in the Arab Spring. Iran’s supreme leader, who has the final say on all state matters in Iran, urged Libyans not to allow the U.S. and its allies to dominate their country. On Tuesday, Iran’s Foreign Minister Ali Akbar Salehi said his country secretly provided humanitarian supplies to Libya’s rebel National Transitional Council. Salehi said Iran had sent four medicine and food shipments to the rebel stronghold of Benghazi. “Today they (U.S. and its allies) seek to take advantage of the situation. Nations must be vigilant and wakeful,” said Ayatollah Ali-Khamenei. But he made no mention of Syria, where Assad’s regime is struggling to contain opposition forces.